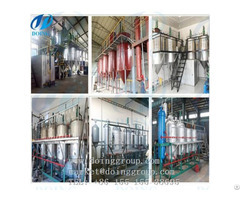 Peanut Oil Pressing Plant is fully adopted mechanical driven, it connects each oil processing machinery together to extract oil with higher oil yield and at the same time, change the single machines by manual into the semi continuous production line to liberate the workforce. Peanut Oil Press Machine is really an ideal investing item with little investment, high production efficiency and high profits! 1. Cleaning Process: Use vibration cleaning sieve and magnetic selector to get better cleaning effect. This step is mainly to clean the big impurities, like the stone, big dust, iron etc . 2. Crushing Process: This Process is mainly to crush the peanut, as the peanut is big, it is not easy to press .We must crush the peanut to 6-8 pieces . Then we need to peel.The rate of peel is about 90% . 3. Flaking Process: After crush and peel, we need to flake the crushed peanut, which make the cell wall of peanut broken . And we flake the peanut to 0.55 mm thickness. Then it is useful for the oil extracting. 4. Cooking Process: After the flaker, we need to cook the flaked peanut, control the moisture at 5-7%, the temperature is 110-115degree . 5. 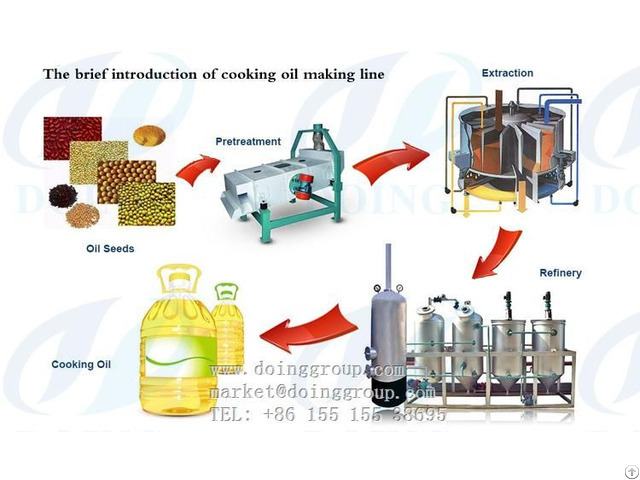 Pre-pressing: After all the pretreatment, pre- press the peanut, the oil can be extracted about 76%. Peanut Oil Press Machine is really an ideal investing item with little investment, high production efficiency and high profits! 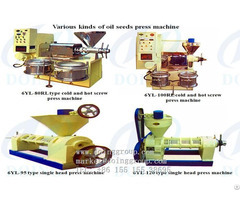 If you need to buy peanut oil press machine, Wintone machinery is your best service. 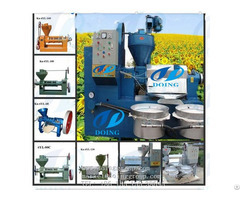 Any problem about oil press machine or other Edible Oil Mill Machinery, please feel free to contact us.